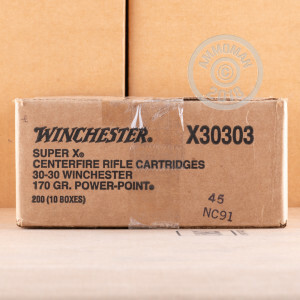 Your carbine will make a great deer rifle with these 30-30 cartridges from Winchester. 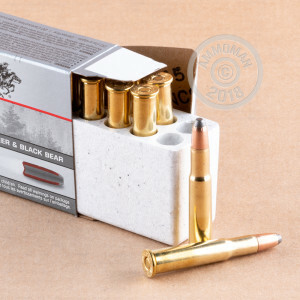 Each round in this box of 20 fires a 170 grain soft point bullet with a notched jacket designed to provide deadly expansion without excessive fragmentation. 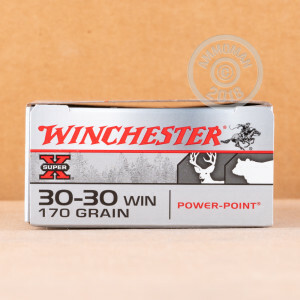 This ammo produces a muzzle velocity of 2,200 feet per second, making it suitable for midrange hunting. Place an order at AmmoMan.com and get free shipping on all orders over $99!